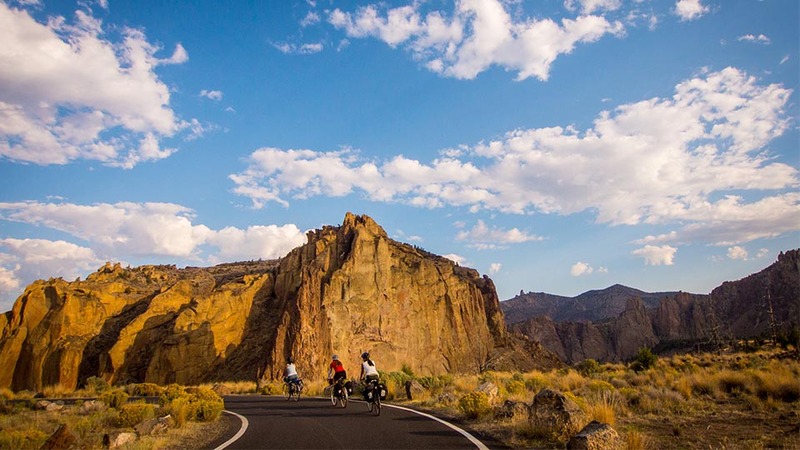 Roll by pastures of grazing alpacas silhouetted against the snow-covered Cascade Mountains on your way to Smith Rock State Park, famous for its multi-colored rock formations. The elevation gain or loss is about the same from either direction. The route starts in downtown Sisters and passes through Terrebonne.